All organic materials, i.e. pertaining to raw vegetable and animal material, can be tested for their geographical origin by means of isotope analyses. This provides a product retraceability independent of any accompanying documentation. 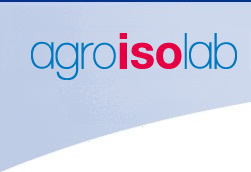 Whether the aspargus originally came from Germany or Greece, the steak from Argentina or England or the wood out of Scandinavia or Russia can be determined at Agroisolab GmbH, simply by testing a small product sample. The basis is a comparison of the isotope value of a well-known geographical location with the isotope value of the sample to be tested for its origin. Hence the method requires the availability of authentic isotope reference material or corresponding database information. Depending on the test objectives there are different requirements for the kind and quantity of the reference samples. We inform you gladly in detail. A comparison of isotope values can only be carried out between samples from the same kind of product because each biological species has an own characteristic metabolism. The saying ”one cannot compare apples and oranges” can be taken literally here. The principle of operation of the isotope analysis will be explained in detail under the menu entry Isotope Analytics. In nature, different isotope values are found worldwide in water and in the organic substance of plants and animals. Typical values can be identified for the different continents and each single country of the continents. On the basis of the isotope values for hydrogen oxygen, products can be assigned easily to a continent or a certain country. Does the asparagus really come from Germany as declared or could this also be merchandise from southern Europe? The analytical origin testing is based on natural differences found in the isotope values in water, plants and animals at different geographical locations. These geographical differences do not correspond automatically to country or state/province borders determined by men, but rather orient themselves to climatic and ground specific factors. For example, beef stemming from the region of South Germany can clearly be distinguished from north German beef. Another example is that vegetables out of the Spanish region Andalusia shows very distinct isotope values. Different vineyards can often be distinguished very well through quite specific isotope values in the the wine. Even within the border of Luxembourg, different regional isotope values could be assessed for wheat. In a large project, the region Wendland-Elbetal in the state Lower Saxony was examined with respect to characteristic Isotope values. A detailed project description and its results are found on the web page www.farm-id.de . The base of a reliable statement again is formed by authentic reference material which necessary quantity and diversity depends on the particular test objectives. According to the objectives and and the size of the defined region, it can be advisable to find out beforehand whether a defined region can be characterized by typical isotope values. Does the turkey meat come from North Germany as declared? For a field exact origin determination, normally several or all bio elements are examined in a full analysis. It could be established in a multitude of projects that a retraceabilty back to the field or the stable of origin is possible. For instance, grain samples stemming from two different sample points that were located on two different fields only 200 m apart from each other were cleary assigned to their corresponding location. Hence agricultural products can be allocated e.g. to their originating farm or production companionship. The field accurate determination is particularly suitable for permanent crops like fruits or berrys. Were the potatoes really harvested on the field of the stated producer or could they be additionally bought merchandise?